A Chinese academic, jailed for life two years ago for campaigning for the rights of the Muslim Uighur people, has won a prestigious annual human rights award, organizers said on Tuesday. 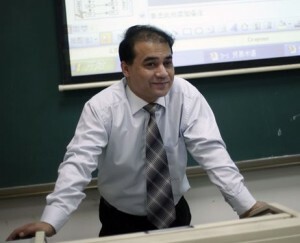 Ilham Tohti, who is an ethnic Uighur, was selected from three finalists for the Martin Ennals Award, whose jury is composed of 10 activist groups including Amnesty International, where Ennals was an early secretary-general. 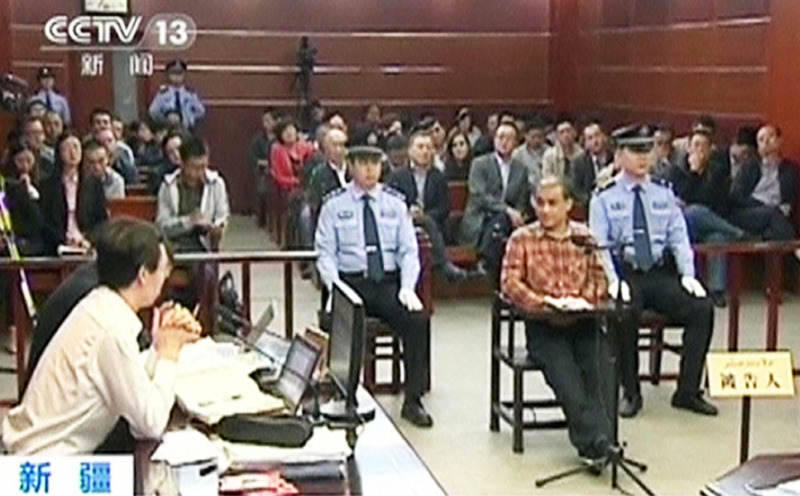 Tohti is China’s most prominent advocate for the rights of Muslim Uighur people, a Turkic-speaking people. Many resent restrictions on their culture and religion, and complain they are denied economic opportunities amid an influx of majority Han Chinese into Xinjiang. Rights advocates said at the time of his sentencing after a two-day trial on separatism charges in September 2014 that it sent a clear signal that the government is determined to suppress dissent. In Beijing, the government dismissed the award, saying that Tohti’s “crimes are clear”. “In the classroom, Ilham Tohti openly made heroes of terrorist extremists that conducted violent terror attacks. He also used his position as a lecturer to entice and coerce some people to form a group to promote and participate in East Turkestan separatist forces’ activities.” Foreign Ministry spokesman Geng Shuang told a media briefing. “Ilham Tohti has nothing to do with human rights,” he said. Other finalists were Syrian human rights lawyer Razan Zaitouneh and the so-called Zone 9 Bloggers of Ethiopia. Its first recipient in 1994 was Chinese dissident Harry Wu.